Almost 100 million bottles of dandruff shampoo are sold in the USA, and an estimated half the population have suffered from a flakey scalp at some point in their lives . Yet dandruff is considered to be the most commercially exploited skin and scalp disorder/disease  by the personal care industry. While I haven’t experienced every skin or scalp disorder (although it sometimes feels like it…) I can vouch that commercial exploitation and disinformation are rife in this industry. So it gives me great pleasure, 6 years after I started this site, to still be fighting the good fight. After reviewing more than a hundred dandruff shampoos, doing thousands of hours of research in the process we’ve chosen our best dandruff shampoo. 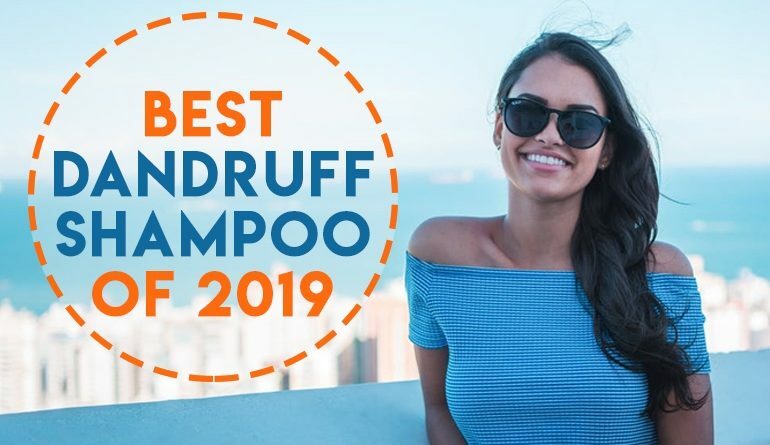 Sebclair Shampoo is our best-medicated dandruff shampoo of 2019. In our tests this Piroctone Olamine shampoo, designed to treat dandruff caused by Seborrheic Dermatitis, was simply the best and most gentle formulation on the market. An outstanding shampoo, formulated with precision and care, and the best dandruff shampoo we've seen this year. We couldn’t really separate the next two shampoos. Dead Sea Spa MAGIK Mineral Shampoo contains two active ingredients, Zinc Pyrithione and Salicylic Acid, and is designed to treat mild cases of seb derm. The formulation is largely extremely gentle, it smells great and washes as well as a high-end salon shampoo. On the downside, it contains fragrances and a secondary surfactant called Cocamidopropyl Betaine. Both ingredients can cause reactions in the very sensitive skin sufferers. But compared to 99% of shampoos out there, it’s as gentle as they come. Our second runner up, DHS Fragrance Free Tar Shampoo is a coal tar shampoo. Coal Tar remains a controversial active ingredient to this day, but there’s no denying that it can be effective at treat dandruff caused by both seb derm and scalp psoriasis. DHS has formulated the gentlest coal tar shampoo on the market today, designed with care for even the most sensitive of scalps. Sebclair shampoo is designed for mild to moderate dandruff caused by either a dry scalp or seborrheic dermatitis. The shampoo contains only one active ingredient, Piroctone Olamine. We’re finding Piroctone Olamine is becoming ever more popular in newer dandruff shampoos. And for good reason too. Studies show that Piroctone Olamine is extremely effective at clearing dandruff caused by seb derm  while another shows a 1% formula of piroctone olamine  is effective in reducing oiliness of your scalp, increasing hair thickness and reducing hair shedding. Great new for scalps prone to seb derm or excessive dryness. Sebclair shampoo a fragrance-free formulation, containing no essential oils, no major allergens and contains some of the gentlest combinations of surfactants we’ve seen. As an added bonus, it also contains Sorbitol. Sorbitol is a humectant ie an ingredient that attracts water to itself. When such an ingredient is near your scalp, skin can be hydrated and soothed. Great news for dry scalp sufferers. It’s also an ingredient used to break down biofilms. Biofilms accumulate at a molecular level and build up a resistance to antifungal ingredients . They may just be the reason why your dandruff shampoo has stopped working. In an ever crowded market, Sebclair shampoo really does stand out of the anti-dandruff crowd. Dead Sea Spa MAGIK Mineral Shampoo is a combination shampoo containing both salicylic acid and zinc pyrithione. Both active ingredients are FDA approved for treating dandruff caused by scalp psoriasis and seborrheic dermatitis. Zinc Pyrithione may be considered the godfather of the anti-dandruff active ingredients family. It’s been used for a long time and its effectiveness was accepted before even scientists knew why it worked. Though many studies exist on zinc pyrithione, a 2018 study found that as an antifungal and anti-bacterial Zinc Pyrithione helps to quell populations of the Malassezia yeasts associated with seb derm . Perhaps more noteworthy, in 2001, it was found that Seborrheic Dermatitis sufferers have an altered skin structure that is improved significantly with zinc pyrithione treatment . Salicylic Acid, on the other hand, does not possess any antifungal properties often used in the treatment of seb derm. However, it is keratolytic that can help soften and remove existing flakey build up on the scalp. In addition, a recent study suggests that the presence of salicylic acid with an anti-fungal can help amplify the power of that anti-fungal agent. The thinking behind this shampoo is that the salicylic acid will soften and exfoliate existing build up and the zinc pyrithione will help prevent new build up from forming. As an added bonus, the salicylic acid will help improve the efficacy of the zinc pyrithione. I’m generally a big fan of combination shampoos and this is no exception. The shampoo feels great, has a nice light smell and leaves the hair feeling extremely soft. It only contains one contact allergen of note too – cocamidopropyl betaine. If you suffer from mild seb derm or scalp psoriasis I can’t recommend this highly enough. Sebamed are a German maker of ph balanced medicinal skin care. It’s a shampoo containing only one active ingredient – Piroctone Olamine – which is an excellent choice to control mild to moderate seb derm or dry scalp. While the shampoo isn’t sulfate or fragrance-free, it’s long been a favorite with regular readers of Dandruff Deconstructed. DHS Coal Tar Shampoo is an expertly formulated shampoo containing 0.5% coal tar. Coal Tar is an oddity in the anti-dandruff world – it’s actually a mixture of over 10, 000 ingredients – not all of which are known. When used on the skin, these ingredients are able to show antifungal  and anti-inflammatory  properties while potentially normalizing skin cell growth . Numerous studies demonstrate the ingredients efficacy in treating psoriasis with one 2010 study concluding coal tar products appear to be therapeutic in psoriasis and AD, are well tolerated with few side effects and are cost-effective . As such, it’s long been an FDA approved treatment for seb derm. DHS’s Fragrance Free formula is particularly stand out as it washes well, doesn’t smell as bad as most other coal tar shampoos and is the gentlest coal tar shampoo we’ve yet reviewed. I can’t recommend this shampoo or this company highly enough. Another Neutrogena shampoo in our best of list. 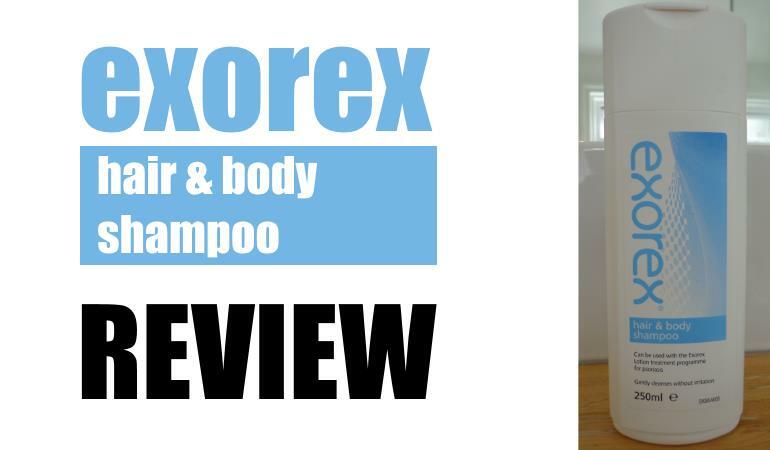 This is quite simply the best pure Salicylic Acid shampoo we’ve yet reviewed. The shampoo contains 3% Salicylic Acid combined with a fragrance free, sulfate free and virtually every other nasty ingredient free formulation. It does this and still feels luxurious when washing. These essential oils do contain fragrance but if you’re not sensitive to fragrances then this is a superb shampoo. Maple Holistics Tea Tree Shampoo is an outstanding Tea Tree shampoo for treating Dry Scalp or Seb Derm. Tea tree oil is an immensely popular active ingredient in dandruff shampoos and has been used for centuries to treat many skin and scalp problems. It’s derived from the ‘Melaleuca alternifolia’ tree native to Australia with the first medicinal use recorded over 100 years ago . Numerous laboratory studies  have shown that tea tree oil is an effective antifungal against Malassezia yeasts – thought to be responsible for the symptoms of seborrheic dermatitis. Maple Holistics formula doesn’t contain any artificial coloring or fragrance, sulfates, parabens, or carcinogens. It contains only three potential contact allergens, with two of the three being tea tree and rosemary essential oils. This combination of cleansing agents is gentle, effective and innovative while the shampoo smells ace and washes even better. If you’re looking for a tea tree shampoo, I can’t recommend this highly enough. Yet again, DHS have produced a shampoo that is a worthy entry in our best dandruff shampoos of 2019. Do you have an extremely sensitive scalp in need of anti-dandruff help? Do you suffer from mild to moderate seb derm? Free & Clear’s Medicated Anti-Dandruff Shampoo contains zero allergens, zero irritants, zero sensitizers formula based on 2% zinc pyrithione. An active ingredient able to improve the health of dandruff affected skin while also helping pacify dandruff causing overgrowths of the Malassezia yeast. This isn’t the first Free & Clear shampoo we’ve reviewed, and we hope it’s not the last. Nizoral is probably the most effective shampoo on the market to control dandruff caused by seb derm. Containing one active ingredient, a 2% concentration of Ketoconazole, it’s technically a medicine. It’s one of few anti-dandruff shampoos approved to make healthcare claims i.e. to treat and prevent dandruff. It’s on the FDA’s approved list of dandruff treatments and in the UK, the National Institute for Health and Care Excellence (NICE) recommend 2% ketoconazole as a first line treatment for seb derm on the scalp. This recommendation is backed by the British Association of Dermatologists. The reason it’s so widely recommended is because it’s effective. Numerous studies demonstrate its efficacy in treating seb derm including a very recently published 2018 study  showed a 2% ketoconazole shampoo to dramatically improve symptoms of seb derm over 30 days of use – when used once every 3 or 4 days. Nizoral contains a 2% dose of antifungal ketoconazole mixed into an 11 ingredient fragrance-free formula. If you suffer from moderate to severe seb derm – it’s a must try. La Roche Posay is a combination shampoo, combining both Piroctone Olamine and Salicylic Acid. The Salicylic Acid will help exfoliate existing dandruff build up while the Piroctone Olamine is designed to prevent any new outbreaks. Another go to shampoo if you suffer from moderate to severe seb derm. Selsun 2.5% shampoo contains a 2.5% concentration of Selenium Sulfide. Selenium Sulfide is on the FDA approved list of dandruff treatments and, like ketoconazole, is recommended by the the National Institute for Health and Care Excellence (NICE) as a first line treatment for seb derm on the scalp. These recommendations are based on a pivotal systematic review published in 2009, which evaluated the efficacy of ketoconazole and selenium sulfide for seborrheic dermatitis . The study reviewed six high-quality trials, ranging from 20-350 participants, and found that both ingredients were associated with an improvement in scaling, itching, redness, and dandruff]. This is a follow up from an earlier 1993 study which found both ketoconazole 2% shampoo and selenium sulfide 2.5% shampoo are effective in the treatment of moderate to severe dandruff . Selsun 2.5% formulation isn’t perfect by any means, it contains a number of relatively harsh ingredients and isn’t exactly catering to the high fashion crowd. It also remains prescription only in the USA. However, there’s a reasons why doctors continue to prescribe it – it works. This time, the active ingredient is Zinc Pyrithione, making it ideal for sufferers of mild seb derm, and the rest of the formulation is excellent. Yes, there are two ingredients to watch out for; TEA Lauryl Sulfate and Perfume. But other than the sulfate and the fragrance there are remarkably only another 5 ingredients in this shampoo (discounting the zinc pyrithione). And one of them is coloring! Bioderma Nodé DS+ shampoo certainly packs an anti-dandruff punch. Its combination of anti-dandruff actives (Piroctone Olamine and Zinc Pyrithione), with keratolytic Salicylic Acid and anti-inflammatory Sodium Shale Oil Sulfonate are also complimented by several scalp soothing ingredients. That is a heck of an ingredients list only let down by the use of SLES and one or two other potential irritants. Sachajuan Scalp Shampoo is a beautiful looking Scandinavian shampoo which contains a very effective (new-age) combination of anti-dandruff actives. Containing Piroctone Olamine and Climbazole ready to defeat dandruff causing Malassezia yeast and Salicylic and Lactic Acids ready to eliminate existing flakes. There really is a lot to love about this formula. Bioderma Node P Apaisant Anti-Dandruff Soothing Shampoo is a fabulous option for sensitive, irritated conditions of mild to moderate dandruff and seborrheic dermatitis. With a combination of 2 fungal actives in Climbazole and Piroctone Olamine with the and dry flake busting Salicylic Acid, its overall efficacy is excellent. It washes and smells great and if it weren’t for the presence of fragrances and silicones it would be an almost perfect sensitive scalp friendly formulation. ORIBE Serene Scalp Anti-Dandruff Shampoo is a fantastic collection of shampooing ingredients targeted at – doing away with flakes. With a 2% maximum dose of salicylic acid accompanied by natural AHAs, ORIBE Serene Scalp Anti-Dandruff Shampoo has huge power to soften and dissolve existing flakes, while also helping to prevent new ones. An anti-dandruff shampoo which will help make your dandruff invisible, while also helping to improve the overall health of your scalp. If you’re sensitive to fragrances then you probably want to look elsewhere, but otherwise, full credit must go to Oribe. All our reviews are research driven. Our reviewers are experts in product formulation, qualified pharmacists or experts in haircare. They assess the primary purpose of the dandruff shampoo, by examining the active ingredients present in the formulation. These active ingredients are designed to control specific types of dandruff. We explain, in laymans terms, what those active ingredients actually do and outline the pros and cons. Our reviews will also assess the rest of the formulation, deconstructing the shampoos to their constituent parts and describe the key ones in detail. In addition, we warn of the presence of any one of over 100 ingredients that can potentially itch, irritate and even cause dandruff themselves. A significant number (~90%) of these chemicals have never been tested for their effect on human health. Many of these chemicals are known to have adverse effects on our skin and one of these adverse effects is dandruff. Unlike most review sites, our reviewers personally try every shampoo they review and they also assess how the shampoo washes, how it smells and look at the price point in their market. These may be medicated shampoos, but that doesn’t mean we want to compromise on a little bit of luxury! What we won’t do is tell you if the dandruff shampoo will work for you. To understand that, you have to understand how to control your dandruff. Dermatologists from the American Academy of Dermatology mirror this advice. It’s fairly easy to treat and control dandruff with patience – and the right dandruff shampoo. What shampoos are designed to control my condition? Anti-dandruff shampoos can contain many different active ingredients. These active ingredients are designed to control specific types of dandruff. They perform different tasks. Without understanding your condition, it’s pointless to even try to find the right shampoo. You have to match the active ingredient to the type of dandruff. Using the wrong shampoo on the wrong type of dandruff will, at best, have no effect. It may even aggravate the condition! • Conditioning treatments can help dry scalp. • Clarifying shampoos are best for product build up. 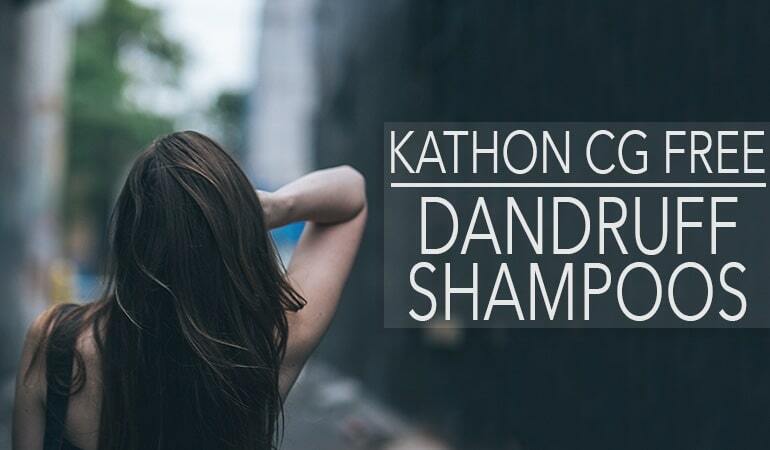 Once you understand the condition causing your dandruff, and you understand the active ingredients or treatments you want to try, it’s time to find your best dandruff shampoo. We have reviewed many shampoos and have developed a unique dandruff shampoo search to help you find your best shampoo. To use this tool, simply the condition causing your dandruff, select what ingredients you’d like to avoid and we’ll show you every shampoo we’ve reviewed that meet that criteria. Our reviews will explain, in detail, how effective these shampoos are and what chemicals these shampoos contain. They deconstruct the shampoos to their constituent parts and describe the key ones in detail. Unlike most review sites, our reviewers personally try every shampoo they review. It may take us longer to get a review out there but try and find another site which provides such comprehensive information. In addition, our reviews will warn you of the presence of any one of over 100 ingredients that can potentially itch, irritate and even cause dandruff themselves. A significant number (~90%) of these chemicals have never been tested for their effect on human health. Many of these chemicals are known to have adverse effects on our skin and one of these adverse effects is dandruff. Many of us dandruff sufferers have sensitive skin. The gentler the shampoo the better as far as we’re concerned. And after a bit research on this site, we’re pretty confident you’ll agree. If you want to read an impartial scientific overview of sulfates, parabens, MI, silicones, alcohols, formaldehyde, phthalates or a whole host of other controversial ingredients, then you’ve come to the right place. Ranganathan S1, Mukhopadhyay T. (2010) Dandruff: the most commercially exploited skin disease. Lodén M , Wessman C. (2000) The antidandruff efficacy of a shampoo containing piroctone olamine and salicylic acid in comparison to that of a zinc pyrithione shampoo. Figueredo LA1, Cafarchia C, Otranto D. (2013) Antifungal susceptibility of Malassezia pachydermatis biofilm. Warner RR1, Schwartz JR, Boissy Y, Dawson TL Jr. (2001) Dandruff has an altered stratum corneum ultrastructure that is improved with zinc pyrithione shampoo. da Rocha Neto AC1, Maraschin M2, Di Piero RM3. (2015) Antifungal activity of salicylic acid against Penicillium expansum and its possible mechanisms of action. Nenoff P1, Haustein UF, Fiedler A. (1995) The antifungal activity of a coal tar gel on Malassezia furfur in vitro. Slutsky JB , Clark RA , Remedios AA , Klein PA (2010) An evidence-based review of the efficacy of coal tar preparations in the treatment of psoriasis and atopic dermatitis. Danby FW1, Maddin WS, Margesson LJ, Rosenthal D. (1993) A randomized, double-blind, placebo-controlled trial of ketoconazole 2% shampoo versus selenium sulfide 2.5% shampoo in the treatment of moderate to severe dandruff. BSc (Hons) in Medical Science. Medical Science graduate, and Medical writer with several published works, both academic and in popular science.